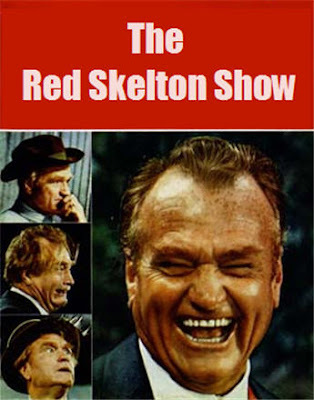 Richard Bernard “Red” Skelton (July 18, 1913 – September 17, 1997) was an American comedian who was best known as a top radio and television star from 1937 to 1971. Skelton's show business career began in his teens as a circus clown and went on to vaudeville, Broadway, films, radio, TV, night clubs and casinos, while pursuing another career as a painter. "The Red Skelton Show," ran from 1941 to 1953. On it, he used his own unique brand of comedy, as well as performing comedy skits involving some of his most popular clown characters, including Clem Kadiddlehopper, the slow-witted country bumpkin, Willy Lump Lump, a drunken sot, Cauliflower McPugg, a punch-drunk boxer, The Mean Widdle Kid, who's most famous expression, "I Dood It," became a national slogan, San Fernando Red, a likable rogue and con man, and his famous cross-eyed seagulls, Gertrude and Heathcliffe. His most famous character, the tramp clown Freddy the Freeloader, awaited the advent of his television show in 1951. On January 14, 1969, Red Skelton touched the hearts of millions of Americans with his "Pledge Of Allegiance", in which he explained the meaning of each and every word. Red Skelton's recitation of the "Pledge of Allegiance" was twice read into the Congressional Record of the United States and received numerous awards. Red Skelton died of pneumonia on September 17, 1997 at his home in Rancho Mirage, California, USA. He was inducted into the Clown Hall of Fame in 1989.